Philly Junk completes another Philadelphia junk pickup in west Philadelphia. 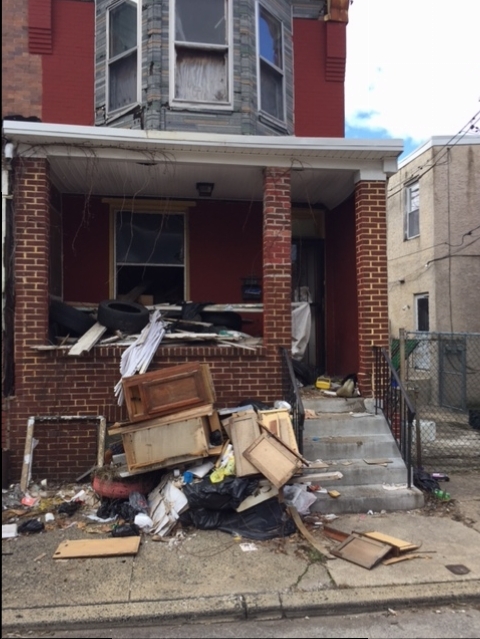 The junk removal crews of PhillyJunk completed a six truck estate cleanout for a house cleanout located on 52nd street in West Philadelphia, Pa. Pretty simple house cleanout job for our guys. We just rotated three junk removal trucks and were completed in a little over four hours. No matter what size your estate cleanout, basement cleanout, garage cleanout or house cleanout if you got junk we have plenty of Philly junk removal trucks and crews that can help. Our service includes bagging up and removing everything non-attached to the house, loading and disposing. Give PhillyJunk a call of you need junk picked up in Philadelphia, Pa.